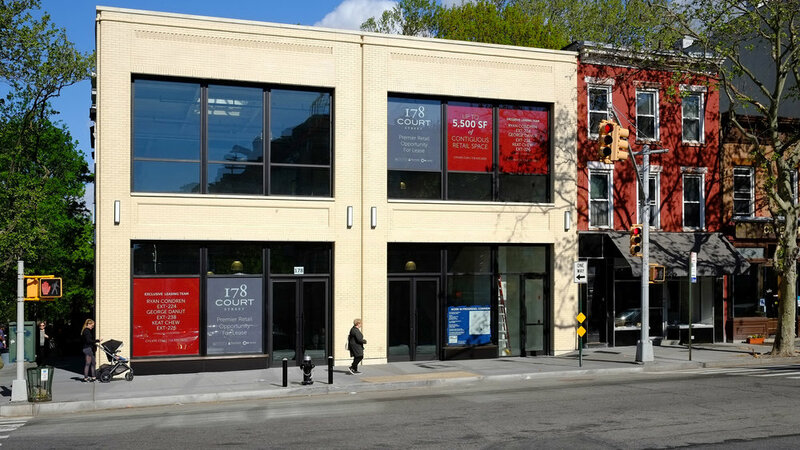 178 Court Street is a two-story retail structure located in the Cobble Hill Historic District. The small corner lot is wedged between ornate residential rowhouses of Congress Street and more austere three story mixed use buildings along Court Street. 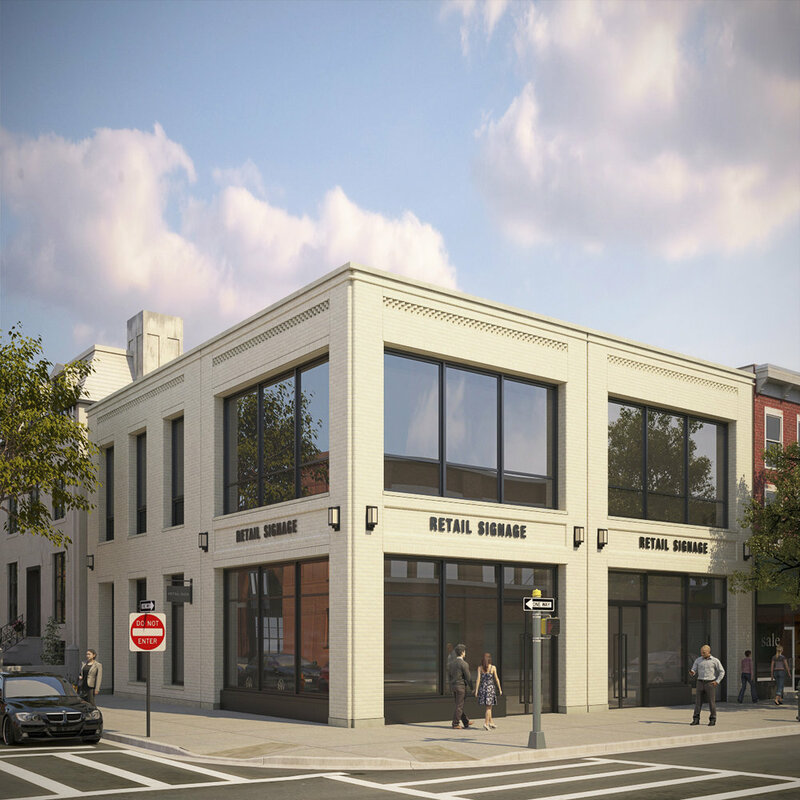 The project required review and approval from the Landmarks Preservation Commission and a design that responded to its historic context. A buff colored brick was chosen to relate to the district’s other strictly commercial building typologies. The building massing provides a transition to the monumental neo-gothic Church of St. Paul across Congress Street. Large window openings address modern retailing needs while brick recesses and fine details add depth and texture to the façade.